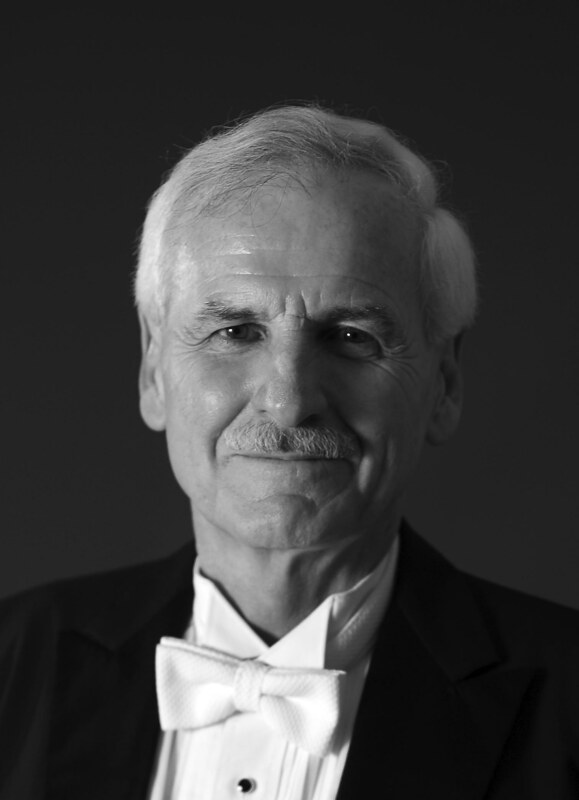 Clinic Synopsis: Ray Cramer is one of the most well respected members of our profession and one of the most sought after guest conductors and clinicians in the world. In this interview, Professor Cramer will talk about his first experiences as a high school band director in the Midwest, his career at Indiana University, and his tenure with the Musashino Academy of Music in Tokyo, Japan. He will also reflect on the balance between life as a conductor, teacher, musician, husband and father. The interview will be led by Dr. Terry Austin, Director of Bands at Virginia Commonwealth and President of the American Bandmaster’s Association and Professor Jay Gephart, the Al G. Wright Chair of Bands and Orchestras at Purdue University. Both are former students of Professor Cramer. Clinician Biographical Information Ray E. Cramer holds a BA in Education from Western Illinois University; an MFA from the University of Iowa; Honorary Doctorates from Western Illinois University, Vandercook College of Music; in 2009 he was awarded an Honorary Professorship at the Musashino Academy of Music in Tokyo. Prior to his appointment at Indiana University Mr. Cramer taught public school in Bardolph, Illinois (1961-62) West Liberty, Iowa (1963-65) Harlan, Iowa (1965-68) and Parma, Ohio 1968-69) Ray E. Cramer was a member of the Indiana University School of Music faculty from the fall of 1969 through May 2005. In 1982, Mr. Cramer was appointed Director of Bands. Under his leadership the Indiana University Wind Ensemble earned an international reputation for outstanding musical performances including the 1982 American Bandmasters Association Convention, Indianapolis; the 1984 joint American Bandmasters Association/Japan Bandmasters Association Convention, Tokyo; the 1988 MENC National Convention, Indianapolis; the 1991 National CBDNA Convention in Kansas City, the 1994 National MENC Convention in Cincinnati, the 1995 American Bandmasters Association Convention in Lawrence, Kansas; the 1997 National CBDNA Convention in Athens, Georgia; a 2000 spring tour to Japan performing in six cities and the Japan Band Clinic; The 2003 CBDNA National Convention in Minneapolis, MN; a December 2003 performance at The Midwest Clinic; plus numerous other regional and state conventions. In addition to his administrative responsibilities as the Department of Bands/Wind Conducting Chair, Mr. Cramer taught graduate courses in wind conducting, history and literature. He also conducted the University Orchestra for seven years during the fall semester. (1994-2001) Mr. Cramer enjoyed a 36-year tenure at Indiana University with the final 24 years as Director of Bands. He is a member of ABA, CBDNA, NBA, WASBE, MENC, CMEA, CBA, CIDA, and is affiliated with Phi Mu Alpha and Phi Beta Mu. Mr. Cramer is a recipient of the Student Alumni Council Senior Faculty Award (1983), the Kappa Kappa Psi Distinguished Service to Music Award (1988), the CIDA Director of the Year Award (1988), the Phi Beta Mu, International Assembly, Outstanding Bandmaster Award (1988) and the Kappa Kappa Psi Bohumil Makovsky Memorial Award (1991), The Edwin Franko Goldman award (2002), The MENC Lowell Mason Fellow medallion (2003) Midwest Clinic Medal of Honor (2005) Bands of America Hall of Fame (2006) Lifetime Achievement Award (2006). He has been awarded Honorary Life Membership of the Colorado Bandmasters Association (2007), Honorary Life Membership Iowa Bandmasters Association (2007) and has received the 17th Japan Academic Society of Winds, Percussion and Band Award (2007). In December of 2008 he was named the “The Academy of Wind and Percussion Arts” honoree by the National Band Association. The AWAPA was established by the NBA for the purpose of recognizing those who have made truly significant and outstanding contributions to the furthering of the excellence of bands and band music. In 2010 he was elected into the NBA “Hall of Fame of Distinguished Conductors.” He is a past National President of the College Band Directors National Association, The American Bandmasters Association and has served as president of the Indiana Bandmasters Association, the North Central Division of CBDNA and the Big Ten Band Directors Association. He is the past President of the Midwest Clinic, an international band and orchestra convention held in Chicago each December. Mr. Cramer remains actively involved in clinics and guest conducting engagements nationally and internationally. He serves as a regular guest conductor for the Musashino Academia of Music in Tokyo, Japan that began in the fall of 1990 and continues to the present. He has conducted the Musashino Wind Ensemble on tours throughout Japan and two performances at the Midwest Clinic in 1995 and 2006. He and his wife Molly of 52 years reside in Colorado Springs because they love the mountains and to be closer to family, and grandchildren. Second Clinician Biographical Information Jay S. Gephart joined the faculty of Purdue University in the fall of 1995 after completing 12 years as a public school band director. In July of 2001, he was promoted to the rank of Associate Professor with tenure and in 2009 was promoted to Full Professor. In November, 2006, Professor Gephart was appointed Director of University Bands and currently serves as the Al G. Wright Chair of Purdue Bands and Orchestras. He is the director of the Purdue “All-American” Marching Band the Purdue University Wind Ensemble. He is also coordinator of the concert band program. From 1995-2006, Professor Gephart served as the music director for the Purdue Symphony Orchestra. He also services as Artistic Director for the Kokomo, Indiana Park Band. Professor Gephart received a Master of Music Degree in Tuba Performance with High Distinction from Indiana University in 1988 and a Bachelor of Music Education Degree with Distinction from Indiana University in 1983. Under his direction, the Purdue Wind Ensemble and Symphony Orchestra have shared the stage with some of the nation’s outstanding soloists and have represented Purdue at the Indiana Music Educators Association state convention on two occasions. In February of 2012 the Purdue Wind Ensemble performed a concert at the national convention of the American Bandmaster's Association, held in Indianapolis. Under his direction, the Wind Ensemble has also performed concerts in Chicago’s Symphony Center and in New York’s Carnegie Hall. The group will return to Carnegie Hall as the showcase ensemble for the New York Wind Band Festival in March, 2016. Under his direction the Purdue “All-American” Marching Band has traveled literally around the world. With recent performances in Beijing China, the Macy’s Thanksgiving Day Parade in New York City, the St. Patrick’s Day Parade in Dublin, Ireland and La Feria de las Flores in Medellin, Colombia, the “All-American” Marching Band continues to serve as an ambassador for Purdue, the state of Indiana and the nation. Professor Gephart has served as a guest conductor, clinician, lecturer and adjudicator both nationally and internationally having conducted All-State Bands in Indiana, Virginia, Colorado, Arkansas and Kentucky (2016). He has served as a clinician at the Midwest International Band and Orchestra Clinic in Chicago and at numerous conferences and in-service workshops. In 1997, he was selected to conduct the music camp honor band for the Department of Education in the Northern Region of Queensland, Australia. In his career he has been the recipient of many awards and honors including the Indiana Outstanding Bandmaster Award and the Purdue University New Professional Award. 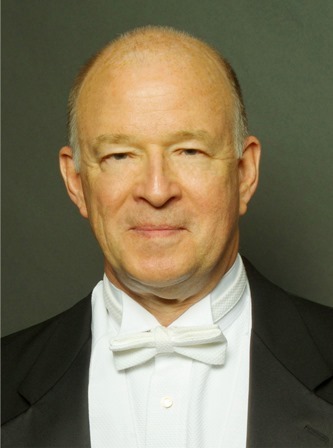 He has commissioned numerous works for wind band, including "Anthem" by Steven Bryant which was premiered in 2011 celebrating the 125th Anniversary of Purdue Bands. Mr. Gephart has been very active in various professional organizations including Music Educator’s National Conference, National Band Association, College Band Director’s National Association, Indiana Bandmaster’s Association, Indiana Music Educators Association and Phi Beta Mu. From 2010-12, he served as President of the Big Ten Band Director’s Association and currently holds the position of Vice President and Treasurer of the John Philip Sousa Foundation. He is also a member of the NBA Revelli Composition Contest selection committee. In 2012, he was elected to a position on the board of the National Band Association, serving as the Collegiate Representative. Professor Gephart was elected to membership in the prestigious American Bandmaster’s Association in 2008 and now serves on the ABA Board of Directors He, his wife Jana and their family reside in Lafayette, Indiana. 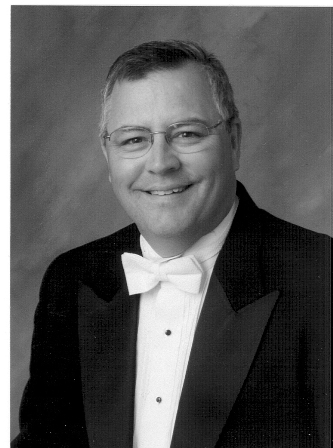 Third Clinician Biographical Information Terry Austin is Director of Bands and Professor of Music at Virginia Commonwealth University where he oversees all aspects of the band program and teaches courses in conducting, and music education. Under his leadership, the Virginia Commonwealth University Symphonic Wind Ensemble has earned a reputation for musical excellence and has been invited to perform at many professional conferences including the American Bandmasters Association, MENC, the College Band Directors National Association, and the Virginia Music Educators Association. He is an active guest conductor, clinician, and adjudicator and is published in numerous journals and is the general editor of The Journal of Band Research, A Repertoire Anthology (1964-1989) published by GIA. In the fall of 2013 he was the guest conductor of the Musashino Academia Musicae Wind Ensemble in Tokyo. Austin is President of the American Bandmasters Association, chairman of the National Band Association/William D. Revelli Memorial Band Composition Contest, a member of the Board of Directors of the John Philip Sousa Foundation, and a past board member of the National Band Association, and the Southern Division of MENC: The National Association for Music Education. He is a member of the College Band Directors National Association, Pi Kappa Lambda, Phi Beta Mu, and an honorary member of Kappa Kappa Psi. He is a past-president of the Virginia Music Educators Association. Dr. Austin is included in Who’s Who In America, Who's Who in Fine Arts Higher Education, and Who’s Who Among America’s Teachers. He is a multiple recipient of the National Band Association’s Citation of Excellence and in 2005 he received the Virginia Commonwealth University School of the Arts Distinguished Achievement Award of Excellence. He founded and conducts the Greater Richmond Youth Wind Ensemble, an ensemble of the finest high school musicians in the Richmond metropolitan area, and the Commonwealth Winds, an ensemble comprised of Richmond area teachers and professional performers. Austin earned a Bachelor of Music Education from Indiana University, a Master of Arts in Music Education from the University of Hawaii, and a Doctor of Philosophy in Music Education from the University of Wisconsin-Madison. He lives in Richmond with his wife, Tracia and twin sons Joshua and Seth.